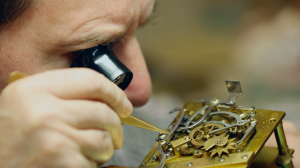 First, and most obviously, some watches have mechanical movements made largely by hand. These movements can require hundreds of hours of labor, and can only be made by watchmakers with many years of experience. The more complicated a mechanical watch is; that is, the more functions it has, the more you will have to pay for it. Some watches are plated with, or made entirely of precious metal: gold, or in rare cases, platinum. These metals cost much more than plastic, stainless steel or base metal. Furthermore, the gold used in Swiss watches is finer than that used in most jewelry sold in this country (18k versus 14k) so the cost is even higher than you might think. The cost goes up even more (substantially so, in most instances) if the watch bracelet, as well as the case, is made of precious metal. Swiss watches in general have more unusual and complex case designs than less expensive watches. This means they are constructed of more parts, requiring a wider variety of dies to produce them and a more time-consuming assembly process. designs to consumers, but also drives up manufacturing costs. 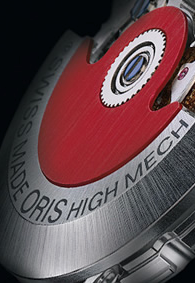 Just about all watch parts are available in a range of qualities. A watch made with a synthetic sapphire crystal, which is very difficult to scratch and highly durable, will cost more than one with a plastic or a glass crystal. Similarly, a leather strap can cost a watch manufacturer $10 or $100 depending on its quality. Water resistance also adds to the cost of a watch. Making a watch watertight requires gaskets perfectly fitted to keep out water and, often, a special type of crown that screws down into the case so water can’t seep in. The higher the level of water resistance (100m, 200m or more) the lower the manufacturing tolerances and the more expensive the case. A watch’s price is also affected by other features. A smoothly finished, supply link bracelet will cost more than a roughly finished one. A double safety buckle on the band will add to the cost, as will special finishes on the case or dial.